The fall of Moshi Monsters is the latest example of a gaming company struggling to repeat a one-hit wonder. Mind Candy has been one of the darlings of London’s tech scene, riding the wave of its hit children’s game Moshi Monsters since its launch six years ago. But the company has so far failed to move its blockbuster from desktop to mobile or find another money-spinner to repeat the monstrous success. And it shows in Mind Candy’s latest results filed at Companies House. It swung to a loss of £2.2m in 2013 from a profit of £8.1m in 2012, while revenues plummeted 35% to £30.5m. Divinia Knowles, now president as well as chief financial officer (and a 2013 MT 35 Under 35er) after founder Michael Acton Smith stepped down as chief exec in July, admitted that sales are still falling this year. 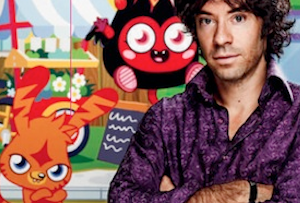 Moshi Monsters made money from a web-based subscription model and had 80 million users at its peak in 2013, spawning toys, magazines, music and even a film. But the game has never been fully available on mobile and the eight Moshi-related apps are clearly not pulling in the money. The company looks to be making the tough decisions needed for a turnaround, halving its workforce to 100 since Acton Smith stood aside (perhaps to avoid making those hard choices?). It also doubled its research and development investment to £6m in 2013 as it tries to move past what Knowles labelled a ‘hit-based’ model. It’s newer products include World of Warriors, a cuter-looking version of roleplay game World of Warcraft that Acton Smith said was aimed ‘at the whole family’. It uses the mobile gaming model du jour of free access with upgrades available to purchase in-app and Knowles told the FT it was bringing in more than $100,000 (£64,000) a day. The company also launched PopJam in July, a photo-sharing social network for children that Knowles claimed would enable it to trial ideas before deciding whether to develop them fully. It’s only been released in the UK so far, where it’s been downloaded 100,000 times. Mind Candy is one of a string of gaming companies struggling to move past their big hit: Candy Crush maker King’s share price has fallen by more than 20% since floating this year, Finnish Angry Birds creator Rovio cut 16% of its workforce in October and US-based Zynga hasn’t been able to produce a new Farmville. If Mind Candy can break out of that mould with its new products it would certainly lay down a gauntlet for other gamers.